World Series • It's well past time for Fox to replace Tim McCarver in the broadcast booth. Do sportscasters have a shelf life? Is there an expiration date after which they should be tossed out because they've gone bad? If so, then Fox's Tim McCarver has reached his. Sports Illustrated's Joe Posnanski raised the question of expiration dates on sportscasters, and it's a good one. Particularly when it comes to something like the World Series. This is a big-time event that ought to be approached with enthusiasm and excitement. Yes, they've been playing the World Series (almost) every year since 1903, but you don't have to act like you're bored with it. And McCarver has so perfected his I'm-cool-with-this routine that he now projects an I'm-too-cool-for-this attitude. It would be easy to pick on McCarver for things like when, during Game 1, he said, "It's a five-letter word  s-t-r-i-k-e."
We all make mistakes. That was one that you can just laugh off. Like when he called Derek Jeter "Jerek Deter" during the 2009 World Series. But after 31 years as a sportscaster (following 21 years a professional baseball player), McCarver has run out of things to say. He just says the same things over and over again. There's nothing he can't over-analyze. Nothing he can't hit on so often that viewers want to hit their heads against the wall. McCarver has said (repeatedly), "Good habits are as easy to form as bad ones." But he proves the opposite is also true. I was a big McCarver fan back when he was doing Mets games for WOR in the 1980s. He was a breath of fresh air in what had been a very stale broadcast booth. I was thrilled when he started working for the networks. But the 1980s were a long time ago. And, in 2011, criticizing McCarver has become almost a cliche itself. Five years ago, Fox's "Family Guy"  which is nothing but a reflection of pop culture  had one of the characters say, "Well, at least he couldn't be any worse than Tim McCarver is at sportscasting," followed by a lame imitation of McCarver being, well, bad. Fire Tim McCarver websites spring up like mushrooms in a damp cellar. But he isn't the first sportscaster to exceed his shelf life. John Madden was one of the top NFL analysts on TV for more than 20 years, but in his final years became a clownish caricature of himself. For McCarver's own sake, he ought to bow out gracefully. What's so surprising about his continued presence on Fox is that network was built on being cutting-edge. It's always been about re-inventing itself. The only thing that's been on Fox longer than McCarver is "The Simpsons." And even they're scheduled to wind things up in 2014. Television networks are all about self-interest. About ratings. And the ratings for this World Series aren't great. After a bad Game 1 and pretty good Games 2, 3, and 4, Monday's pivotal Game 5 was the lowest-rated Game 5 in TV history. It lost to "Dancing with the Stars" in viewers, and to "Two and a Half Men" in the 18-49 demographic that's so important to advertisers. When a baseball team is struggling, you can't cut all the players. You fire the manager. Fox can't replace its entire sports staff. The way to inject some life into the 2012 World Series is to make a change in the broadcast booth. Not that McCarver should be tossed in the garbage with the moldy bread. Give him a great retirement dinner and a gold watch, pat him on the back and move on. Scott D. Pierce covers television for The Salt Lake Tribune. His sports on TV column runs Wednesdays. 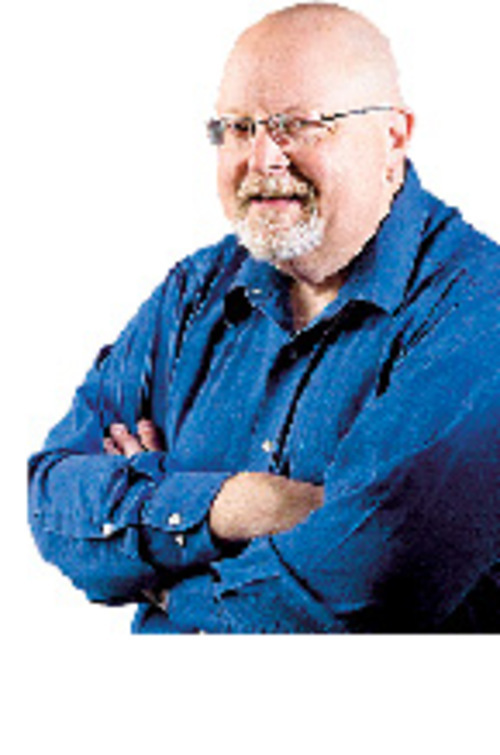 Email him at spierce@sltrib.com; follow him on Twitter @ScottDPierce; read his blog at sltrib.com/blogs/tv.